SINGAPORE (June 13, 2018) – Since 2017, Kemin Industries, a global nutritional ingredient company that uses science to touch more than 3.8 billion people every day with its products and services, has organized several seminars in various regions to introduce Aleta™. Kemin has continued to provide seminars to existing and potential customers as a value-added service to ensure they are aware of how to achieve the best possible outcome in their animal production. 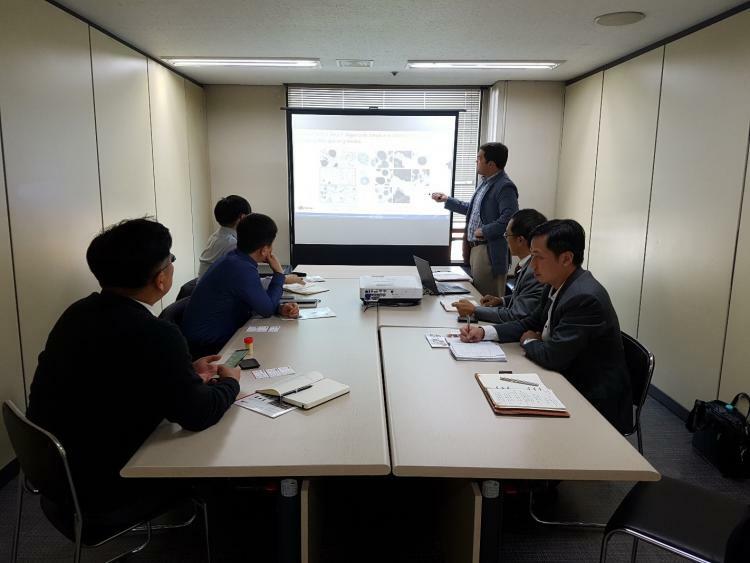 Dr. Geoff Horst, Research and Development Lead, Kemin Industries, and inventor of Aleta, was the principal speaker for the recently held series of seminars in Korea. The presentations were tailored so each customer was introduced to the most-relevant new technologies and solutions, as well as recent trial results for Aleta. “Improving immunity is the key to improving farm productivity and mitigating disease outbreak,” said Dr. Horst. Dr. Horst also explained why the patented, algae-derived beta-glucan Aleta is the next-generation immune primer. The molecular structure of Aleta is very distinct when compared with the conventional yeast-derived beta-glucan. Aleta contains a higher purity of beta-glucan. Its particles are also much smaller in size, making Aleta unique and easily assimilated by the immune system after absorption through the intestines. Dr. Hans Lee, Technical Sales Manager, Kemin Animal Nutrition and Health, Asia Pacific, expressed confidence that Aleta will help farmers meet consumers’ demands for safe and healthy food. Aleta works towards Kemin’s commitment to continuous innovation through its products. Kemin will continue to provide endless support to its customers by offering more seminars for industry professionals in the future to help raise awareness about good farming practices and ways to improve herd/flock health. To learn more about Aleta, please visit www.kemin.com/en/asia-pacific/products/aleta. Dr. Geoff Horst, Research and Development Lead, Kemin Industries, shares information about Aleta™.